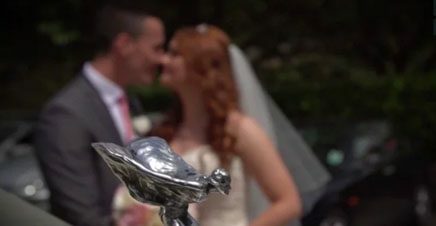 A Wedding Video from Durker Roods Hotel in Holmfirth. May 2015 – The regal setting of Durker Roods Hotel in Holmfirth was the perfect setting for the wedding of Natalie and Liam. The weather couldn’t have been better and the sun shone on the wedding party as they celebrated throughout the day and well into the evening. As a solo wedding videographer, I can ensure your wedding day is filmed with the minimum of fuss or intrusion, yet using the latest professional video and audio equipment. I hope you enjoy this trailer from Durker Roods in Holmfirth.